If you have a EuropAce aircon in Singapore and you require servicing or repair services, you can look for us. As a EuropAce aircon servicing company, we understand the importance of air-conditioners to our daily lives in a hot and stuffy weather in Singapore. Hence, you should ensure that your air-conditioning system are properly maintained and serviced by professionals. In the event that your air-conditioning system faces problems, it is best to engage aircon professionals for the aircon repairs. EuropAce is an established household appliances brand in Singapore. It is well-known for its cooling products in Singapore, especially air-conditioner. 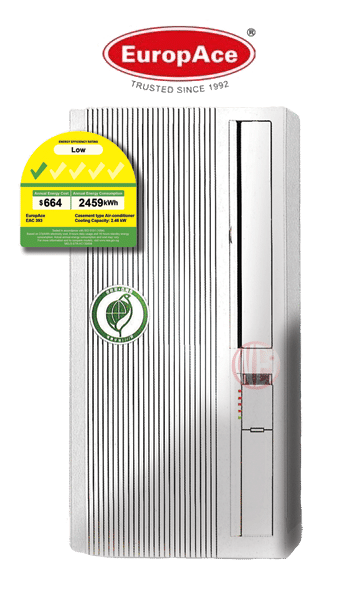 With the constant research, development and the integration of advanced technology into their air-conditioner, it had achieved being energy efficient and yet not compromise on its coolness level. 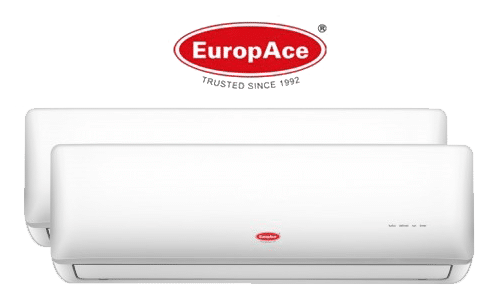 If you are currently using EuropAce air-conditioner, you should be known for its quality and reliability in withstanding harsh weather in Singapore. These systems are manufactured to provide cooling air to households in Singapore and to withstand the constant cooling demands in the office and business environment. Despite EuropAce air-conditioner are being built to last in harsh condition, the air-conditioning system still requires regular servicing and maintenance to upkeep the performance and ensure that it is in good working condition. By engaging our EuropAce aircon servicing in Singapore, our technicians will be able to clean and service the different parts and components in your air-conditioning system and ensure they are working optimally. This will ensure that your air-conditioning units will continue to provide cooling air in your home or office. When our technicians are servicing your air-conditioning system, they will also perform regular checks and ensure that there are no issues with the parts and components in the system. If there are any problems being detected, it will be fixed immediately by our professionals. We are experienced in providing portable aircon servicing in Singapore, feel free to contact us to book an appointment today. During the lifespan of your air-conditioner, there will be times where your units start facing problems. Does your aircon automatically switch on and off? Is your aircon not cold? Is your aircon water leaking? Do your units have any strange noise coming out? The above are some of the common issues that are faced by local households. You do not have to worry when you face these problems when you engage our EuropAce aircon repair services as we are able to diagnose the cause of the problem and rectify it. With years of experience in the air-conditioning industry, we have the experience, expertise knowledge and tools in repairing different type and brands of air-conditioner, including EuropAce. Hence, if you engage in our repair services, your units will be able to regain its functionality and operations with the help of our professional aircon technicians. With the rising heat in Singapore, it is important to ensure that your air-conditioner is being properly taken care of by professionals. You can improve the condition and your performance by engaging aircon servicing, chemical wash or other aircon cleaning services. EuropAce aircon chemical wash is a thorough cleaning process of your air-conditioner system. During the cleaning process, all the dirt, dust, bacteria and even mold will be washed out thoroughly from the system where it will regain the cooling and operating functionality of your system as before. EuropAce chemical cleaning has many benefits such as improve energy efficiency, improve cooling efficiency, stronger air flow, cleaner air quality, extends lifespan and many more. If you are looking for chemical cleaning for your air-conditioning units, you can look for us. Our technicians are all qualified and experienced in performing quality chemical wash for your residential, commercial or industrial air-conditioning system. With the hot and stuffy weather in Singapore, the condition of the air-conditioning system is prone to deteriorate at such harsh conditions. Thus, it is crucial to have regular maintenance to keep your units working efficiently and effectively. It is best to engage professional EuropAce aircon maintenance company for regular servicing and maintenance. There are many benefits in engaging regular maintenance for your units. Some of the benefits are such as improve cooling performance, improve energy efficiency, cleaner air quality and reduce breakdowns issues. Most importantly, it is able to prolong the lifespan of your system. In the long run, it will definitely help you to save time and money. EuropAce has been one of the popular air-conditioner choice among local households in Singapore. EuropAce wall mounted split system aircon and casement aircon is the most popular air-conditioner system among their range of home appliances. At Wei Wei Aircon, our certified and experienced aircon installer is able to carry out EuropAce aircon installation needs for your home or office. Other than that, we also provide EuropAce aircon replacement services. Hence, if you require any air-conditioning services in Singapore, feel free to contact us. EuropeAce casement is no different from any air-conditioner system where regular cleaning and maintenance is required to ensure proper operations of the system. It is essential to have regular EuropAce casement aircon servicing to improve the air quality, cooling efficiency and condition of your units. With proper care, such as regular servicing and cleaning services will ensure that your air-conditioner is in working condition and extend the lifespan of your units. Other than that, if you face aircon problems with your casement aircon Singapore, we are able to provide EuropAce Casement aircon repair services in Singapore. Our technicians are able to check and diagnose the cause of the problem and repair your Casement aircon. Thus, if you require EuropAce Casement aircon installation, repair and servicing in Singapore, feel free to contact us for more information. With years of experience in the air-conditioning industry, we have the knowledge and experience in providing quality aircon services such as servicing, maintenance, repair, chemical wash and installation in Singapore. If you are facing any aircon issues with your EuropAce air-conditioner, you can look for us and we will advise the recommended services or jobs to rectify the issues or improve the condition and performance of your system. Feel free to contact our friendly staff today to find out more about our aircon maintenance and repair services in Singapore.